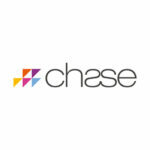 CHASE is recruiting for a Territory Manager on behalf of a rapidly expanding international orthopaedic manufacturer that’s committed to improving the quality of life for millions of people in the UK every day. Our client is a major player in the large joint market, across the UK and worldwide. At this important time for the organisation, they are looking for a talented and highly motivated Territory Manager (Shoulder, Hip, Knee) to join their high performing UK business to work covering their Essex/Herts territory. The product portfolio, which includes high performance implants for the orthopaedic market, is seen to be setting the standard in the industry and driving innovation, and as the company invests heavily in its R&D activities there is also the added benefit of having excellent scope and potential to expand from a business perspective. As it’s a ‘business critical’ territory, the ideal candidate will be an passionate, pro-active and enthusiastic orthopaedic device rep (large joints, sports med, trauma or even spine) with a proven track record of converting surgeons. The company will, however, also consider with strong medical device sales experience (3 years +) with demonstrable success gained within selling into the operating theatre. In this role you will manage the territory as a ‘business within a business’. Therefore it’s important that you bring a solution focused approach, strong technical understanding and commercial mind-set to the role. This is an outstanding time to join the business as the company grows from strength-to-strength and has more products to launch in the medium term. In return you can expect a financial and benefits package, designed to attract the best the industry has to offer, and the chance to represent at a significant time in its development. Please note candidates must live on patch for this position.